In addition to New Years’ Resolutions the start of the year is rife with the predictions of REALTORS and consumers alike regarding Pricing Trends ~ Market Activity ~ Bubble Bursting Theories etc. … Should I sell; should I buy, discussions are taking place in nearly every Coffee Shop in the Lowcountry. Well the early numbers for 2017 are in and our Charleston Area Market continues to experience robust home sales! Let’s take a look at some key indicators (stats provided by CTAR – Charleston Trident Association of REALTORS) for the first two months of 2017 namely Median Prices and Total Homes Sold vs the same period in 2016. Whitney Lake is an exceptional community built surrounding a 25 Acre Lake ... The Landscaping is gorgeous - the wildlife abundant and you will feel like you are on vacation every day ! This 3 level, 3 Bdr townhome offers exquisite views of the lake from the Dining Room, Master Bedroom and the 3rd Floor Bedroom ! The back Patio is another excellent outdoor space to relax and enjoy the Natural Setting. If you are considering a move or a real estate purchase in the Charleston SC area an understanding of Taxation Guidelines can be invaluable ! This is of particular importance for folks relocating from outside the state of South Carolina where taxation laws may vary considerably. The SC Tax Guide offered for your Free download from the HomePage of http://www.HeatherLord.com expresses the guidelines found on the SC State Government website. However please keep in mind that specific or complex questions should always be directed to your Tax Professional for their advice. 2433 Bengal Road ~ Fully Renovated ~ All Brick 4 Bdr is Under 160K ! 2433 Bengal Road - $159,900 ! 112 Chedburg Dr. ~ The Hamlets in Crowfield Plantation ~ 4 Bdr for under 240K ! You will not want to leave the Serenity of your back Porch! Located just minutes from Shopping, the Naval Weapons Station and I-26. This Lovely, Well Maintained 4Bdr/2.5Ba Brick Front Steve Hill Built Home featuresFront & Back Porches. Owners have extensively landscaped and home is in an X Flood Zone! ATTENTION ! My Canadian Friends & Family ... Have You Considered Charleston SC for Your Second Home ? 1356 Scotts Creek - Mt. Pleasant SC - Gorgeous New Listing! You now have the option to search Homes for Sale in Charleston, Mt. Pleasant, Summerville SC and the surrounding areas while on Facebook! The same robust but friendly search program that lets you fully customize your criteria on http://www.HeatherLord.com is now available when you are FaceBooking! No need to close out of FB just visit http://www.facebook.com/charlestonschomes .......... Or search while you are in your FB program using the term Charleston SC Homes. Carillon, is a newly released - GATED - age 55+ community within the acclaimed community of The Ponds. 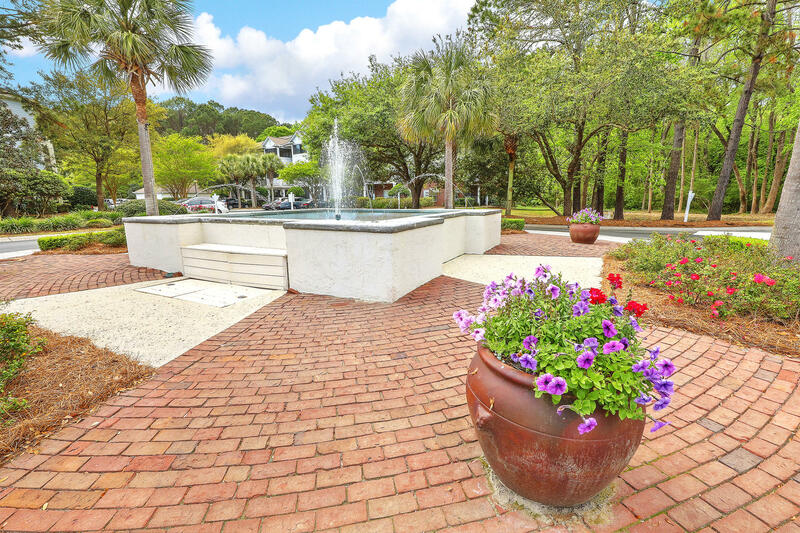 If you are not familiar with The Ponds you owe it to yourself to take a drive to Summerville SC and see this exceptional master-planned community. Looking for an Active Adult Lifestyle ( 55+) Community in Summerville SC - but you prefer to be close to Shopping, Restaurants and just 5 min. to I-26 Highway access? Do you prefer a GATED community with homes built be a well known local builder? Where you can can enjoy a 4700 sq ft Clubhouse complete with Exercise Facility, Gorgeous Kitchen and Swimming Pool? Greater Charleston SC - Introduces a new Sister Community to Daniel Island - Carnes Crossroads ! So ... a real estate purchase is in your future? And you’ve been exploring lifestyle options in Charleston SC – specifically Daniel Island SC; because it is a Master Planned Community that provides Parks - Ponds - Green Space - Sidewalk-Lined Streets - Shopping - Restaurants - Schools… you know, the kind of community that has a great walkability score, one that allows you to walk to what you want ..
….. then comes the BUT – your lifestyle, position at Google, job at SPAWAR or other reason requires that you reside in the greater Charleston area in the Heart of the Growth Corridor – close to Goose Creek, Historic Summerville or Moncks Corner. Charleston SC Dog Parks - Keep Your Four Legged Furry Children Happy! Charleston SC Dog Parks – Keeping Your Four Legged, Furry Children Happy! My sister and her husband have two gorgeous, four legged, furry children… ( photos attached) and locating a dog-friendly park was a critical element in their search for a new home. I attended a “Lunch & Learn” session at CTAR ( Charleston Trident Association of Realtors) and listened to the Charleston County Master-in-Equity,Honorable Mikell R. Scarborough discuss the foreclosure sale process, latest foreclosure statistics and the recent legislative action signed by South Carolina’s Chief Justice Toal.I cannot share all that I learned in this post but felt the following highlights were relevant to all homeowners / future homeowners in South Carolina and specifically individuals facing foreclosure or considering the purchase of property at a Foreclosure Sale. Boeing Subcontractors in Charleston SC Make Hiring Easier! Recent Changes in the Job Notification Procedure Mean Applying for a Job with Charleston SC Boeing Subcontractors Should be Easier. Subcontractors must now provide contact information for the person in charge of hiring. This is great news for folks trying to submit resumes or just contact the appropriate person! FALL in Charleston SC ! - Farmers Markets and Pumpkins Abound! Fall has arrived in Charleston SC …. Yes, I know I am late! The first official day of Fall was September 21, 2010….But with the temperature reaching 94degrees F in Charleston SC on that date I just couldn’t get into the Autumn mindset. Well, we have received our weather reprieve - the temperature and humidity levels have dropped, Summer is winding down and FALL is in the air… I love this time of year – I find a renewed strength to get things done and one of my favorite things to do is to visit the Farmers Market – they are so colorful – vibrant - offering pickles to pumpkins with lots of other stuff in between.